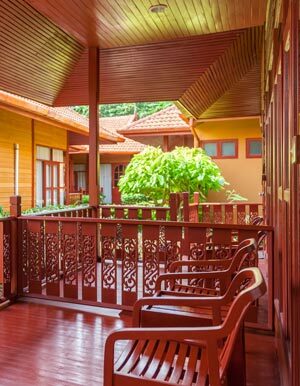 All of the bungalows and rooms at our quiet hotel in Phi Phi Island are spacious and comfortable with elegant wooden furnishings and warm colours. 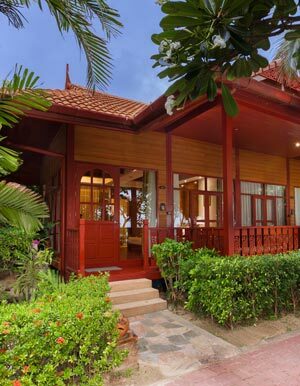 Our Thai inspired accommodations are positioned along the beachfront, set amongst lush gardens and upon the hillside. 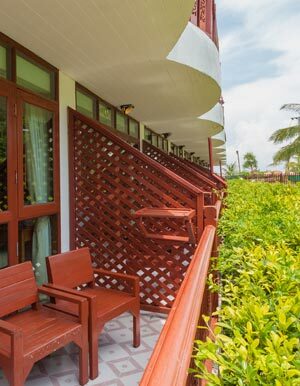 All offer a large private balcony to enjoy the wonderful tropical views. 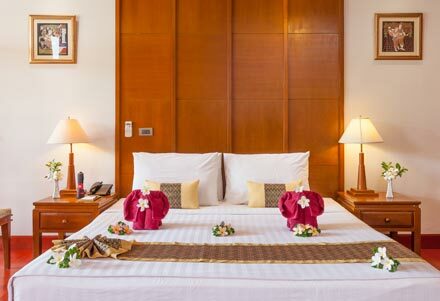 Alongside the lake and gardens at our Phi Phi Island boutique resort we have a two-storey building with our tastefully designed Standard Rooms. 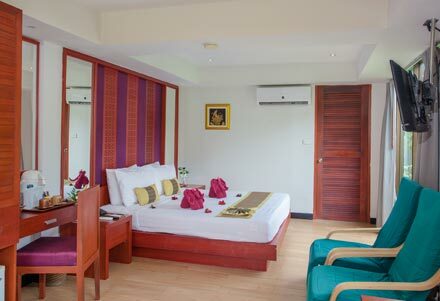 The cosy and comfortable rooms offer plenty of space to relax with a private balcony and modern facilities. Choose from a double bed or twin single beds and help yourself to complimentary tea and coffee as you lounge and enjoy the television and Wi-Fi Internet connection. 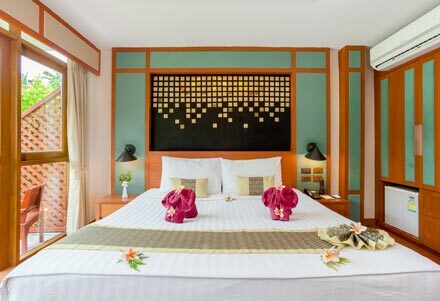 There are two styles of Superior Room at our resort on Laemthong Beach; most are housed in two-storey buildings overlooking the scenic lake, while others are nearer to the beach and gardens. 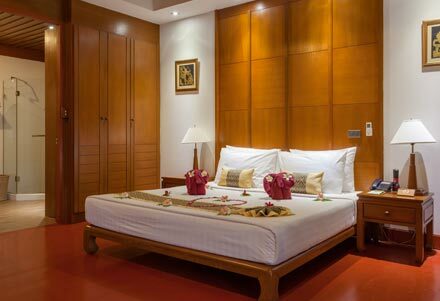 All Superior rooms have a similar layout and design with wooden furnishings and an inviting ambiance. The large window allows plenty of natural light and there is a furnished balcony to relax outdoors in the warm tropical air. These Phi Phi island villas are positioned upon the hillside and offer the most spectacular views over the treetops to the Andaman Sea. Located in a peaceful and natural area of the resort, the villas offer a true escape from busy lives, an ideal place unwind and de-stress. The resort’s hilltop swimming pool is close by which overlooks the dramatic rocky coastline on the opposite side of this small island. 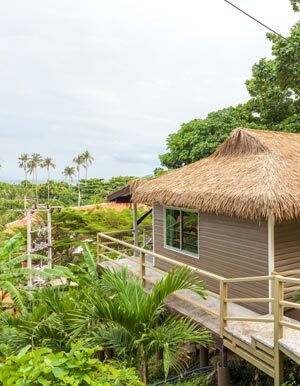 The charming wooden Deluxe Bungalows are positioned along the front of our Laemthong Beach resort, just a few steps from the outdoor swimming pool. 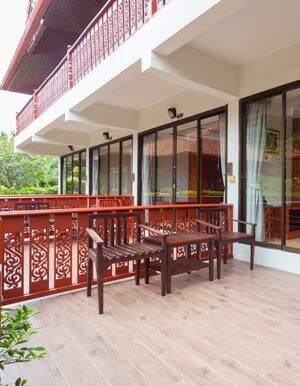 The bungalow has a very spacious terrace overlooking the beach and Andaman Sea, a great spot to relax and enjoy the laid-back beach lifestyle. 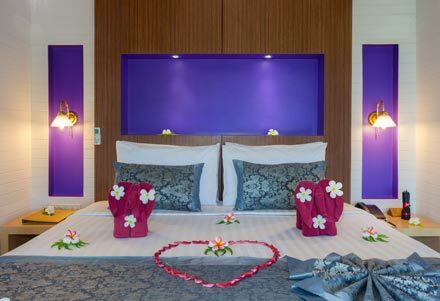 Romantic couples will love the sea views and tranquil ambiance, as well as the comfortable interiors with wooden floors and elegant furnishings.